Its genesis a real attack on the Greenwich Observatory in 1894, Conrad's novel offers an ironic meditation not only on anarchy and revolution, with all the deception and intrigue they imply, but also on loyalty - to friends and family, to country and ideals. 'They swarmed numerous like locusts, industrious like ants, thoughtless like a natural force, pushing on blind and orderly and absorbed, impervious to sentiment, to logic - to terror, too, perhaps. 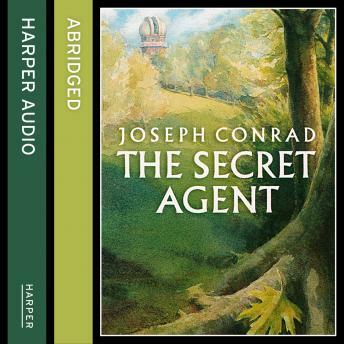 'Considered one of Conrad's most political works, The Secret Agent is set against the dismal backdrop of a drab and alienating London, and tells the story of the bombing of Greenwich Observatory by a group of anarchists.Shopkeeper, spy and reluctant anarchist Mr Verloc becomes embroiled in this terrorist plot, exploiting his mentally disabled brother-in-law Stevie in the process, leading to tragic circumstances.